At a National Aeronautic Association awards dinner in November, the U.S. Air Force’s Mackay Trophy for the most meritorious flight of 2010 will be presented to four officers. 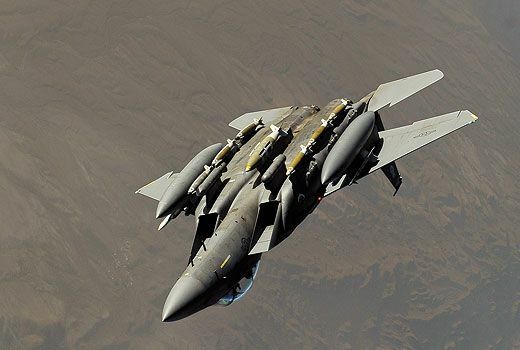 On the afternoon of April 6, 2010, Lieutenant Colonel Donald Cornwell led a flight of two F-15Es in support of a combined allied operation in Afghanistan. 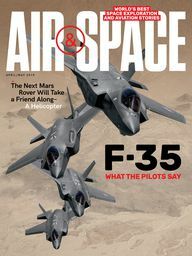 Lieutenant Colonel Dylan Wells, Captain Leigh Larkin, and Captain Nicholas Tsougas, the other participants on the mission, filled out the two aircraft’s crews, operating as Dude 01 and 02. The flight of two was on its way east out of Bagram Airfield in eastern Afghanistan when controllers called to change their direction: A developing troops-in-contact situation required the aircraft to fly west. A team from a joint special operations task force was encircled in the town of Bala Morghab (a known transit point for insurgents in northwest Afghanistan), and a rapid-response force coming to extract the team had been halted by an explosive device. In the 40 minutes he estimates it took to cross Afghanistan, Cornwell busied himself with tanker support details, reserve fuel calculations, and divert options, while Larkin, his weapons system officer, or “wizzo,” worked the radio to establish contact with ground commanders. A B-1 bomber was on station but unable to help, and a layer of thick clouds obscured the ground, ruling out helicopter support. Cornwell, who had flown with the F-15E’s low-altitude navigation and targeting infrared for night (LANTIRN) system and had used its terrain-following radar (TFR) during training in Alaska, used it again on this mission. With Larkin calculating a minimum safe altitude, Cornwell flew the TFR to make low, noisy passes while deploying flare countermeasures over the area of operations in a show of force. At the sound of the jets, the insurgents held their fire temporarily, then resumed, evidently figuring it was just noise. 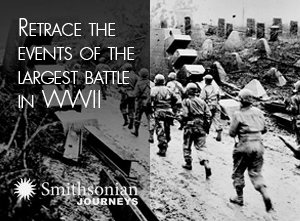 The insurgents were holed up in fortified fighting positions, and the F-15s were low on gas. An Air Force tanker had moved its orbit closer, so the Dude flight was able to get fuel more easily. Larkin had been hammering away on the satellite link to get clearance to drop bombs close to friendly forces. After programming the precision weapons and obtaining clearance, Cornwell and his wingman dropped their ordnance. “[Ground commanders] told us as we were checking out of the area that we had good hits on all the targets,” Cornwell recalls. The insurgents were forced to abandon the town. “I could not have been more excited afterwards,” Cornwell says. “I was tense. The first thing we did was call to find out if anyone [friendly] died. We didn’t find out for sure [that no friendlies had died] until the next day, when we got an e-mail from an intelligence officer who went through the town.” The night after the mission, Cornwell couldn’t sleep, so he ran off some energy on a treadmill. “You get into elevated states,” he says of the post-mission buzz. He’s proud of the flight that won the Mackay Trophy. “We did a good job and did it with excellent teamwork,” he says. He gave special praise to Larkin for her handling of a tough situation. Now Cornwell is retiring, but he won’t be far from the fighter world: He’ll be training F-22 pilots as a contractor.